South West Wall Coatings (SWWC) have been working with homeowners, local authorities, commercial developers , property mortgage lenders and local building contractors to provide the complete service for timber decay and infestations and all sources of dampness above and below ground. They recognise the quality of our workmanship and the high levels of customer service that are synonymous with SWWC and appreciate our traditional "go the extra mile" attitude. 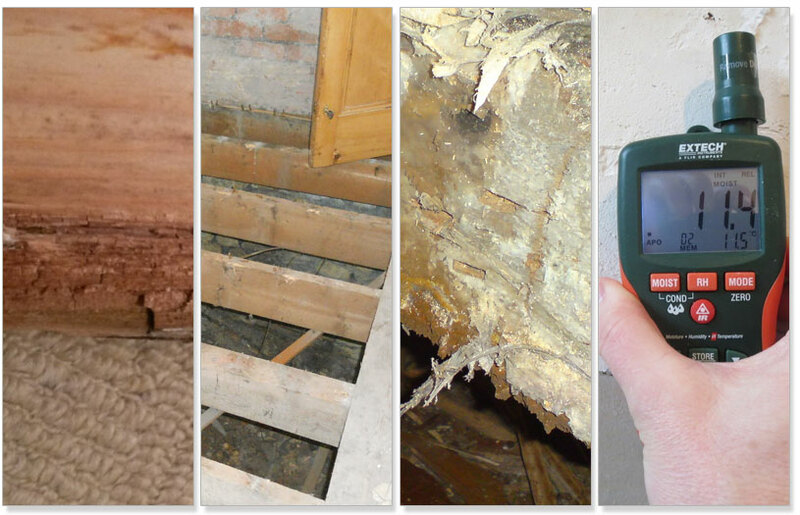 All our damp and timber surveys are conducted by CSRT qualified surveyors who provide detailed reports, expert diagnosis of the problems with evidence to support the conclusion reached. Our recommendations are based on fact and over 30 years experience and knowledge of the diagnosis and treatment of damp and timber problems. Our teams of highly qualified technicians all come highly qualified in their individual specialisation, our finishing is of the highest quality and our work comes with up to 20 years insurance backed guarantees. You can be confident that when your work is complete any damp or timber problems you have had in the past .... well they leave with us. Based in Plymouth, Devon we cover all of Devon from Barnstaple to Exeter to Torbay and Torquay. No matter where you are in Devon SWWC provide a first class service at competitive rates without compromising our very high standards.